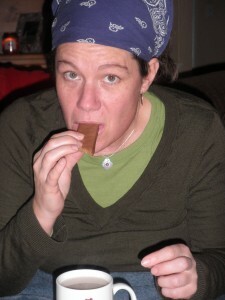 Just had my caramel Tim Tam tragedy. 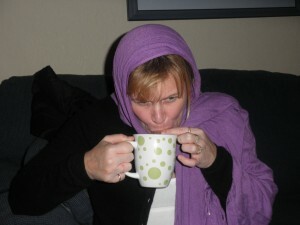 Lost the cookie in the mug mid sip (got slippery & gushy too fast). I did fish it out and eat it though. I will not be deterred from attempting it again in future though, now that you have me hooked on them. Happy Valentine’s Day…I had a Tim Tam Slam for Breakfast! I have never had a TIM TAM! I must rectify this situation and get some tomorrow!! Thanks for the tip! These are our absolute favorite treat!!! We’ve been doing them for years and they never get old. The only thing greater than having the magical chocolate eruption in my mouth is watching my kids giggle with delight as they race to get their timing down- all smiles with a river of chocolate seeping from the corners of their laughing faces. Best treat EVER!! Oh Maryanne. Thanks for giving me credit for “The Slam” introduction. I just started 40 days going sugar free. 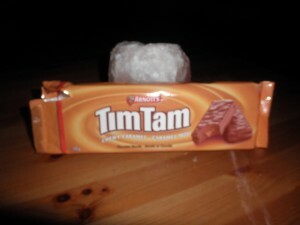 I will now have visions of Tim Tams dancing in my head!! Hope you are well! VERY impressive to be going 40 days without sugar.